Units were dispatched this afternoon for a reported 4 Wheeler ATV on fire. 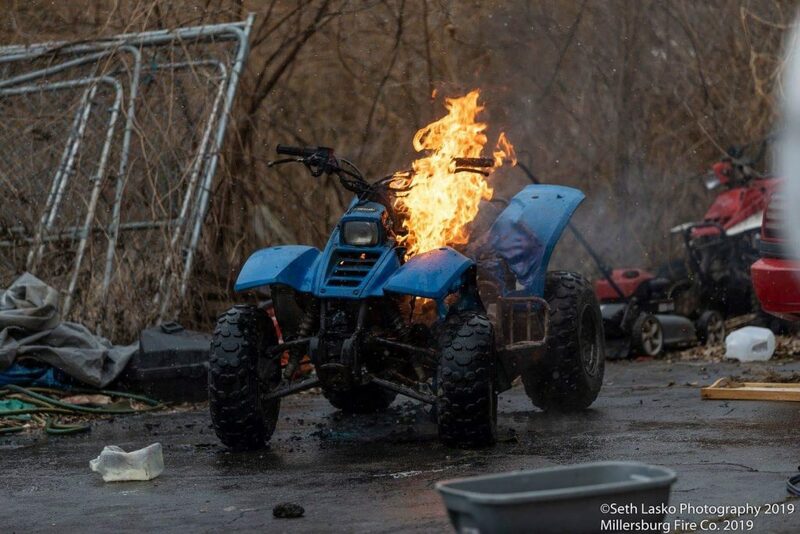 Chief 20 (Snyder) arrived to find an ATV to the rear of the address well involved threatening no other property. Engine 20 was ordered to deploy a Dry Chemical Fire Extinguisher to extinguish the fire. The fire was extinguished and units returned to service.